Someone is going to LOVE this quilt. And I am sooo happy that you had 0 thread breaks. That alone is worth celebrating. Thanks so much for linking up, too. Happy Sewing, Di. The quilt is lovely and thank you for the reminder. 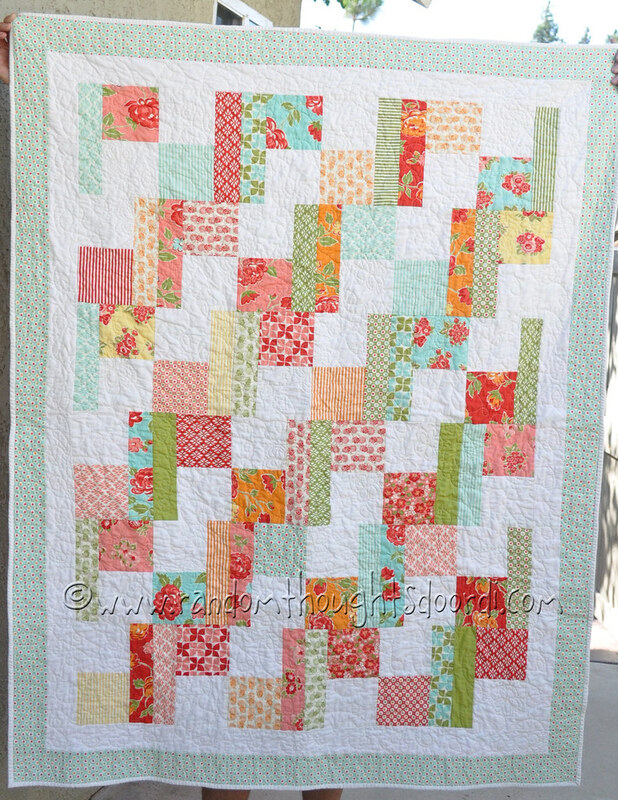 I have linked up my Siblings Together quilt and I am going to think about a local donation too. I like your quilt. So cheerful. It will make someone's day. 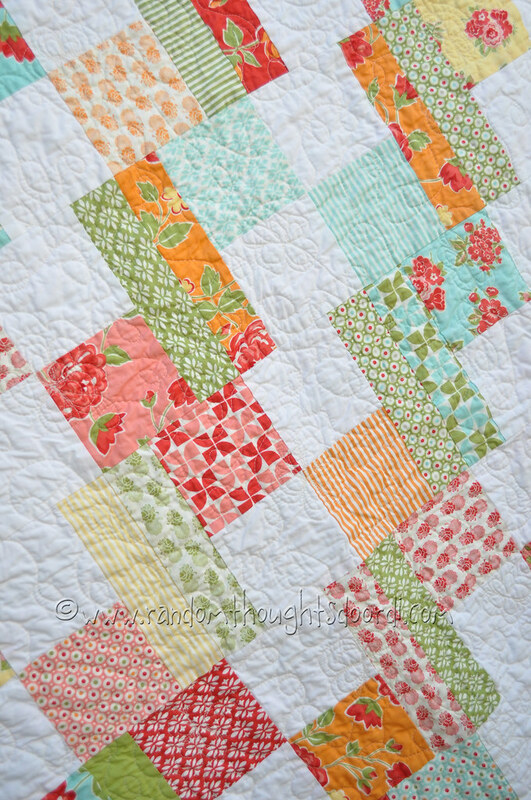 Lovely and congrats on the fmq - very cool! And agreed RE: the thread - gotta use what works best for you! Lovely, lovely finish Di! I am so pleased you have found a thread that suits both you and your sewing machine! Great job! The quilt looks fab, and great choice of donation :o) I ought to link up my ST quilt, but maybe I'll let Rhonda do that as I only quilted/bound it, she did the piecing work! Love!!! You are so incredibly talented!!!! 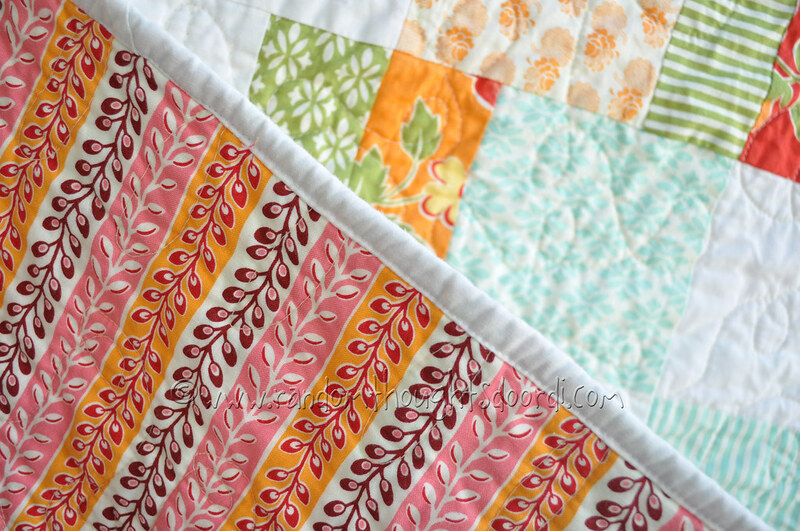 I like the pattern that you came up with; it highlights the wonderful fabrics so well.